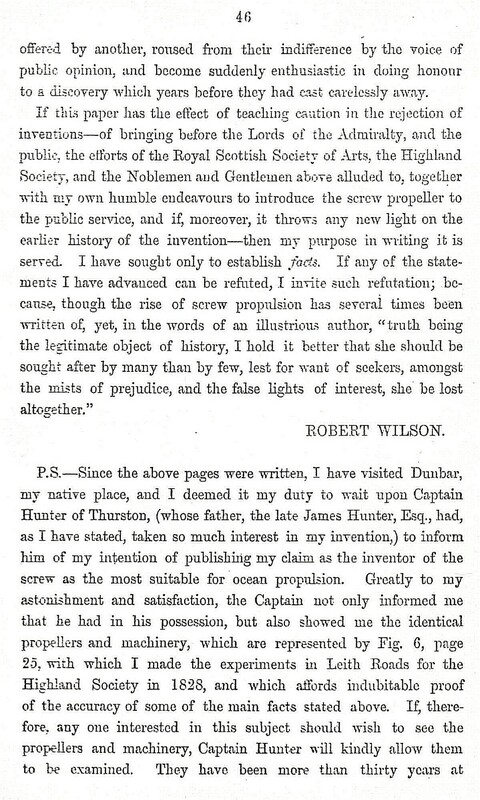 Robert Wilson was born in our Royal Burgh at the beginning of the 19th century. 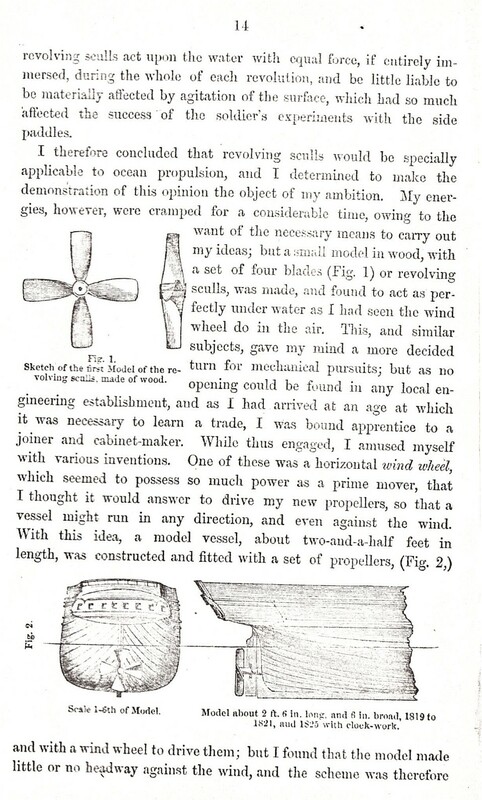 He exhibited an enquiring mind and creative disposition even during his early years. 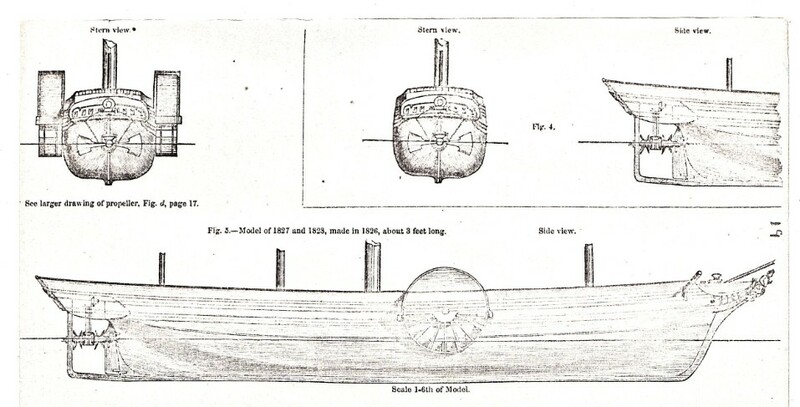 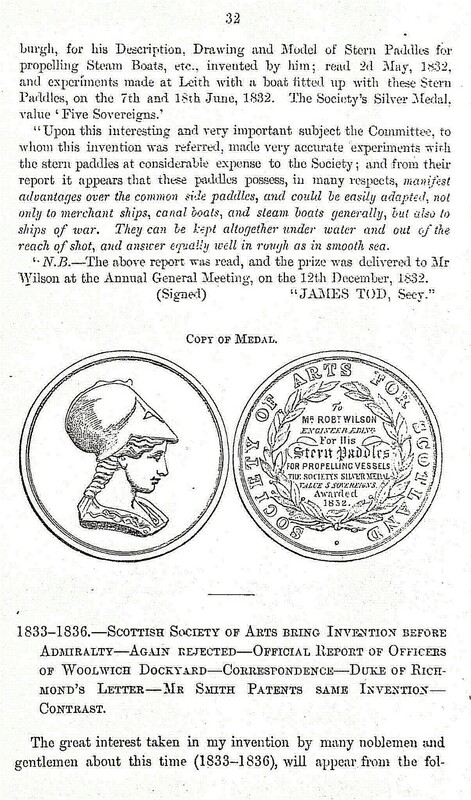 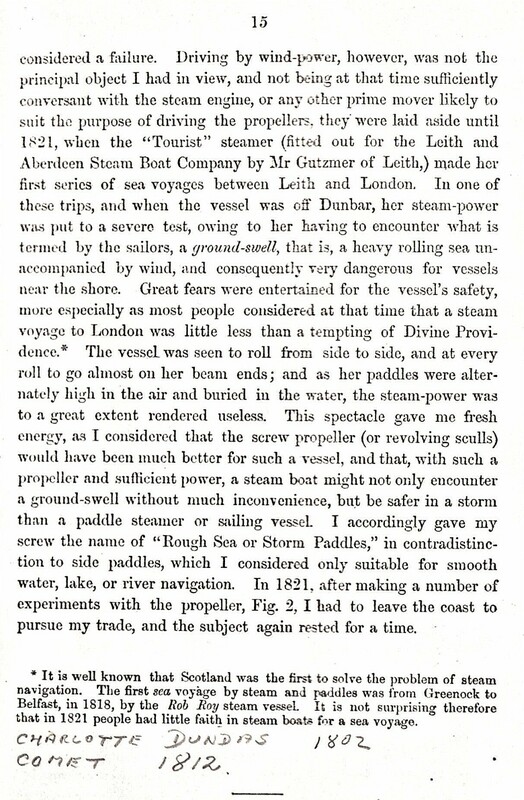 Despite, at the age of 7, the loss of his father Benjamin, a mariner “Lifeboat” stalwart who perished at the rescue of a misguided vessel which foundered a mile off the Mid Links on a substantial acreage of rock mass – The Sicar (only twenty foot below the surface on a good day at high tide) – a man he adored, but he continued on his quest to revitalise the world of sail. 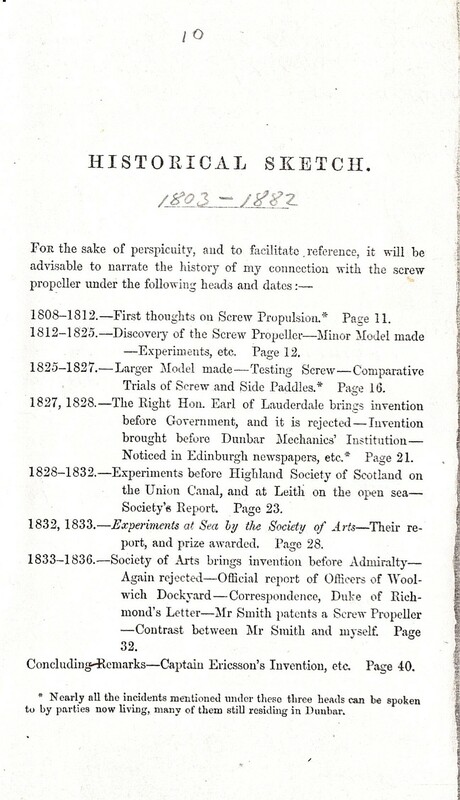 Robert left school, before his teens, in 1815 and embarked upon a joinery apprenticeship before working as an engineer in the Scottish capital. 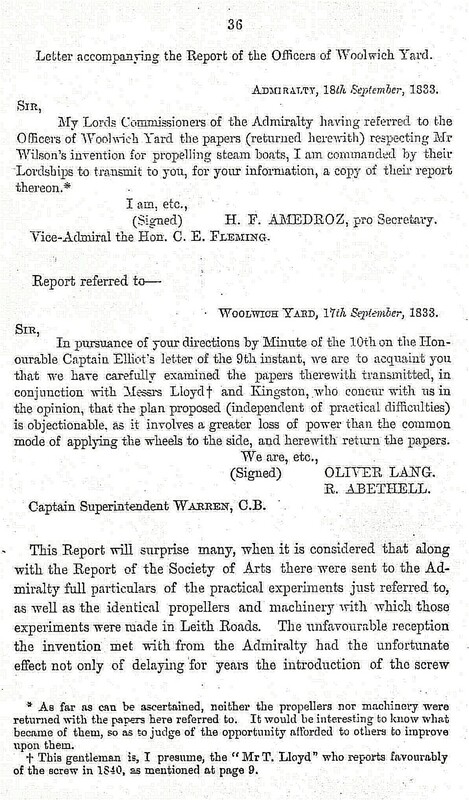 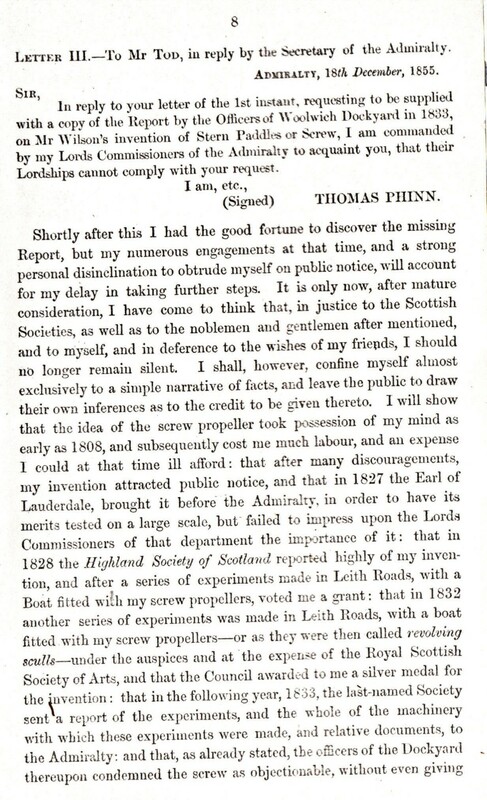 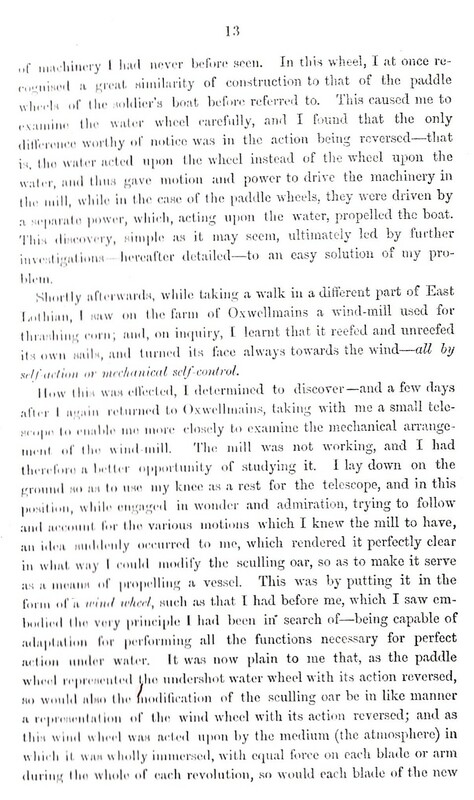 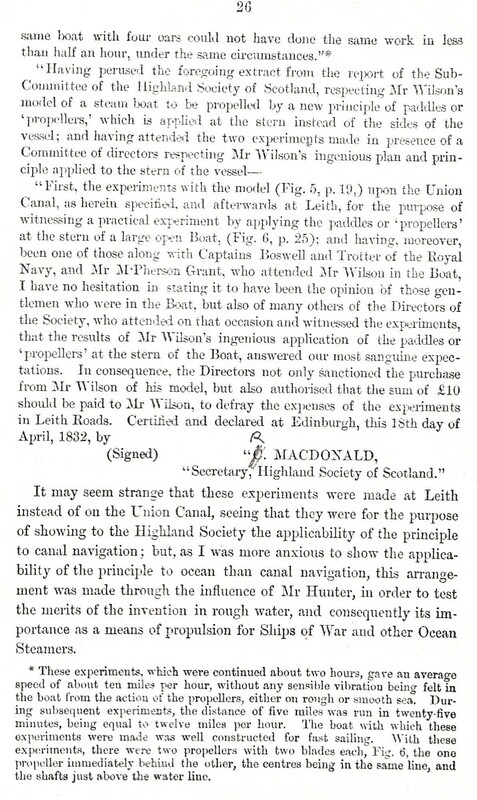 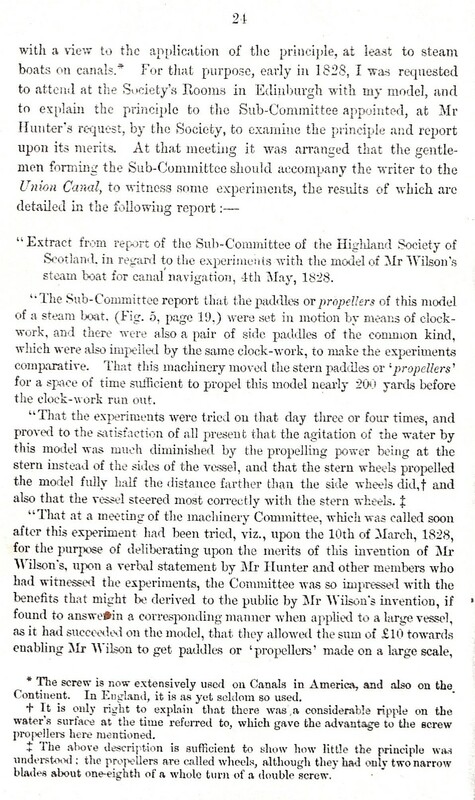 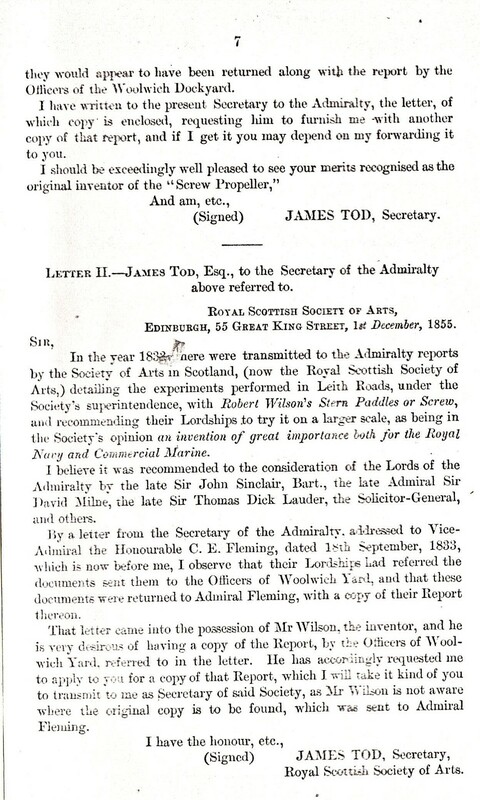 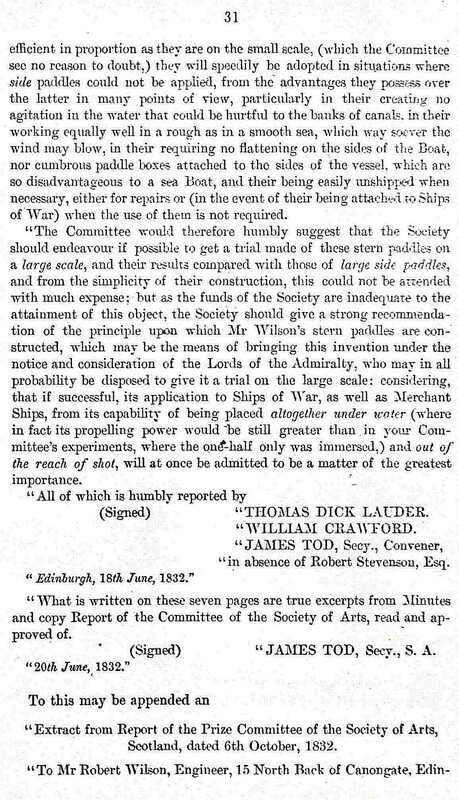 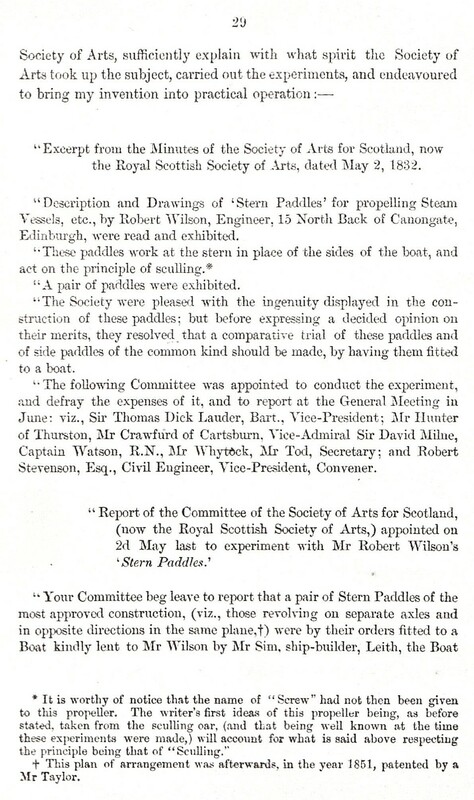 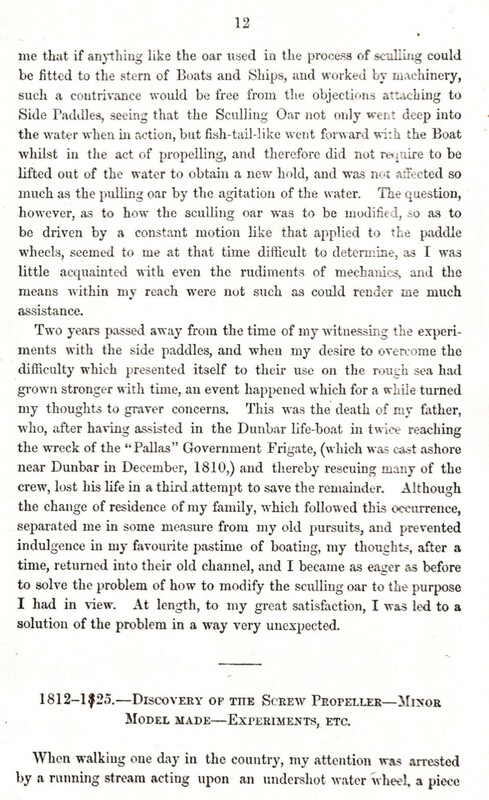 He honed his sculling and other aquatic manoeuvres in the Dunbar harbours near his home and perfected his scale model sailing techniques at both the lake of Mr Hunter of Thurston (his sponsor) and ironically the Fluke Dub less than a mile west of the Vowt shore where his father lost his fight for his life in thrice trying to save souls from a watery grave. 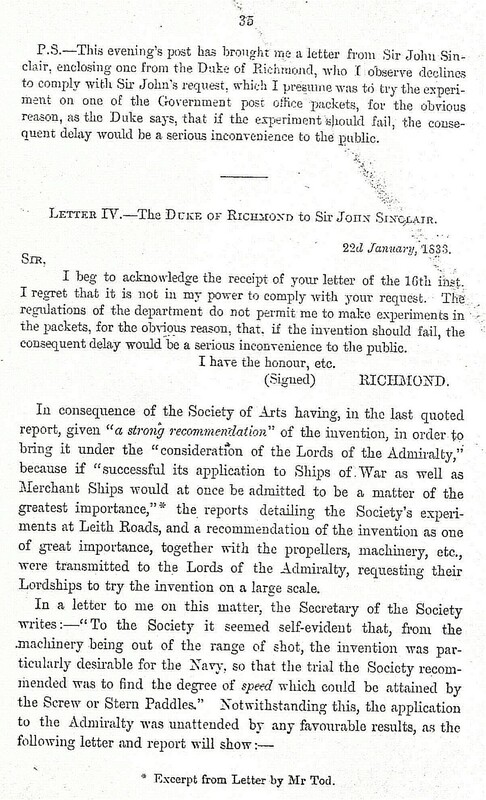 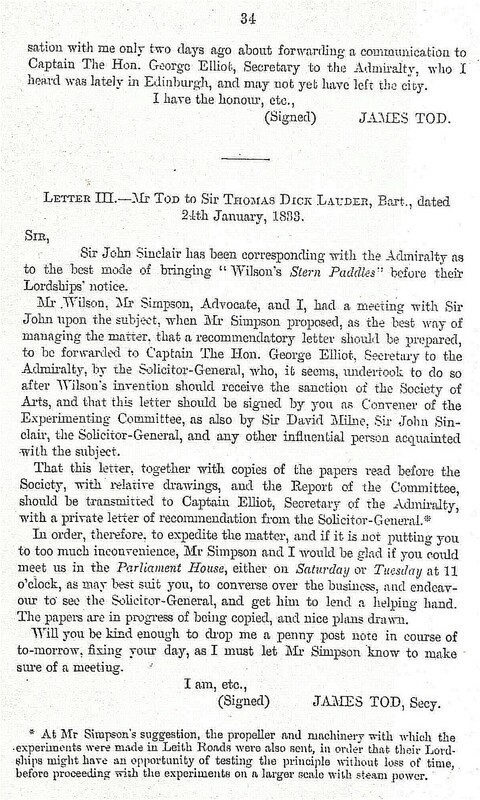 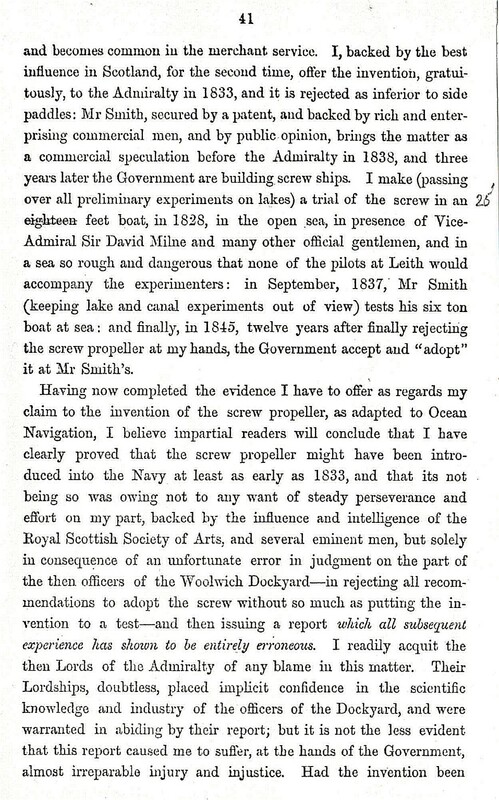 Through his twenties and thirties Wilson with his flair for inventive engineering coupled with James Hunter and aided and abetted by Admiral Maitland still never gained the recognition he deserved – sail was still king! 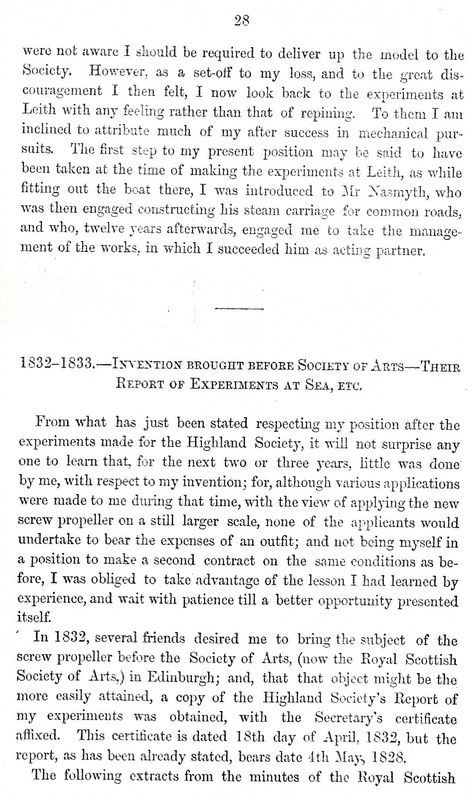 Never a soul to give up and having spent a decade working in Edinburgh he gained employment in Manchester with James Naysmyth (of steam hammer fame). 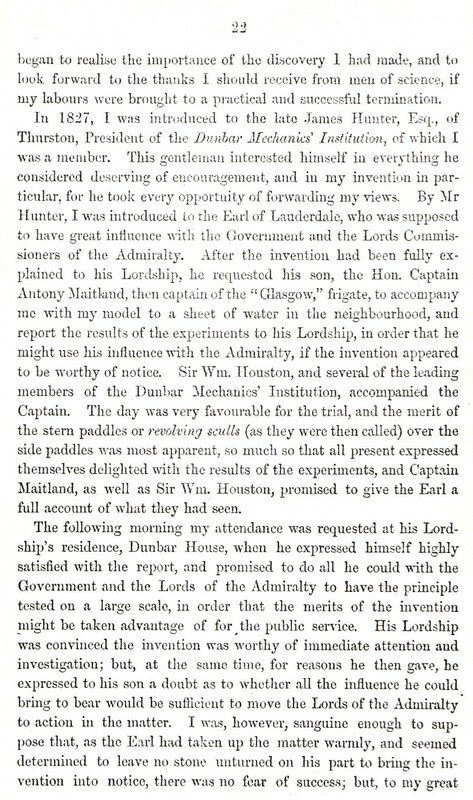 a fellow Scot. 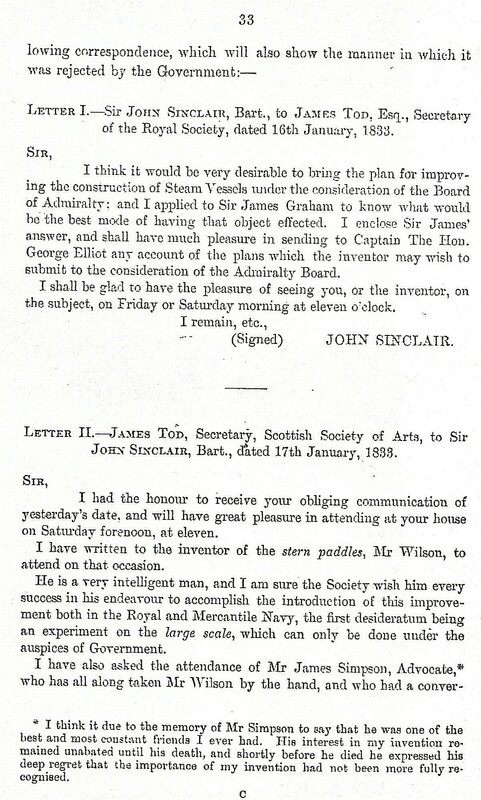 Shortly afterwards he was made up to manager at Naysmyth’s Patricroft foundry. 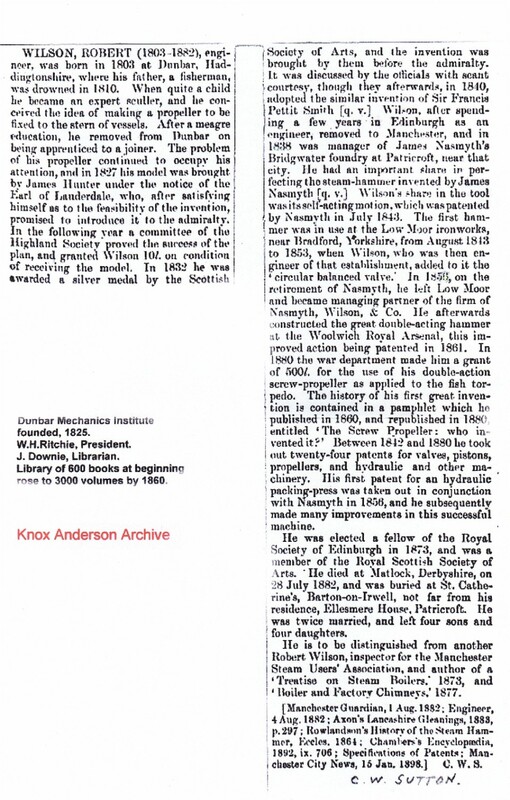 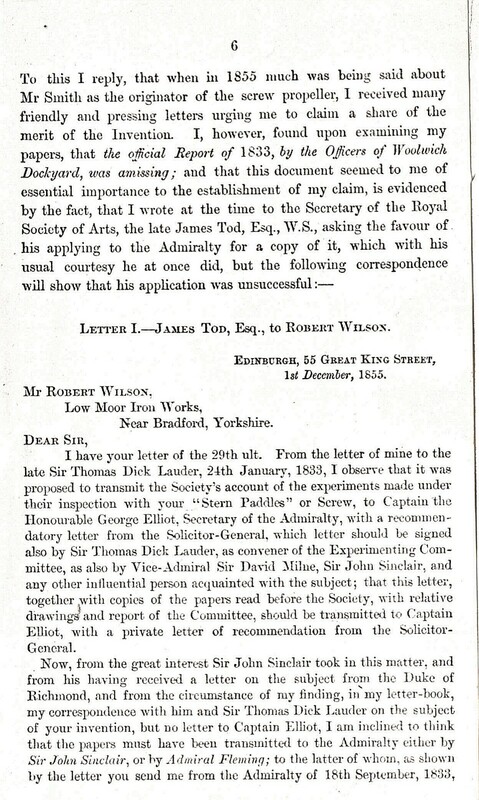 When Naysmyth retired in 1856 Wilson left and became managing partner in Naysmyth, Wilson and Company. 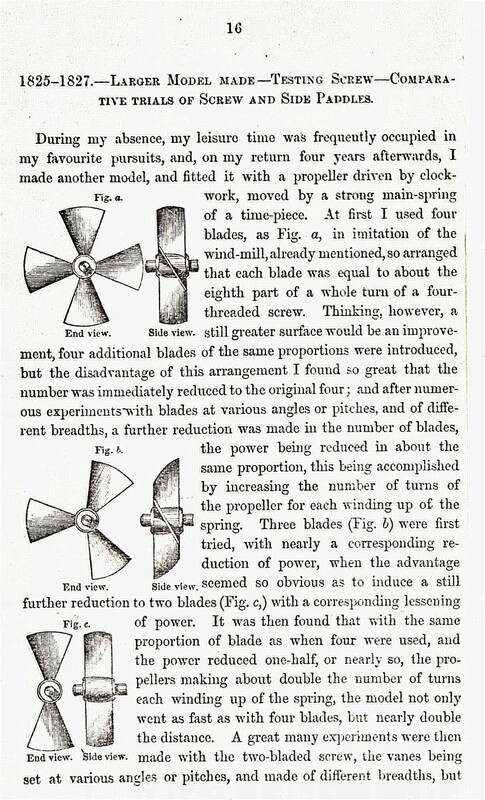 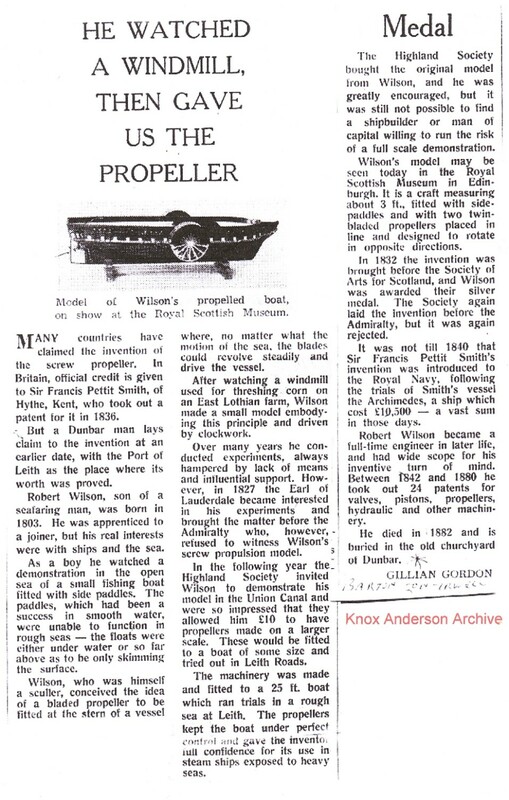 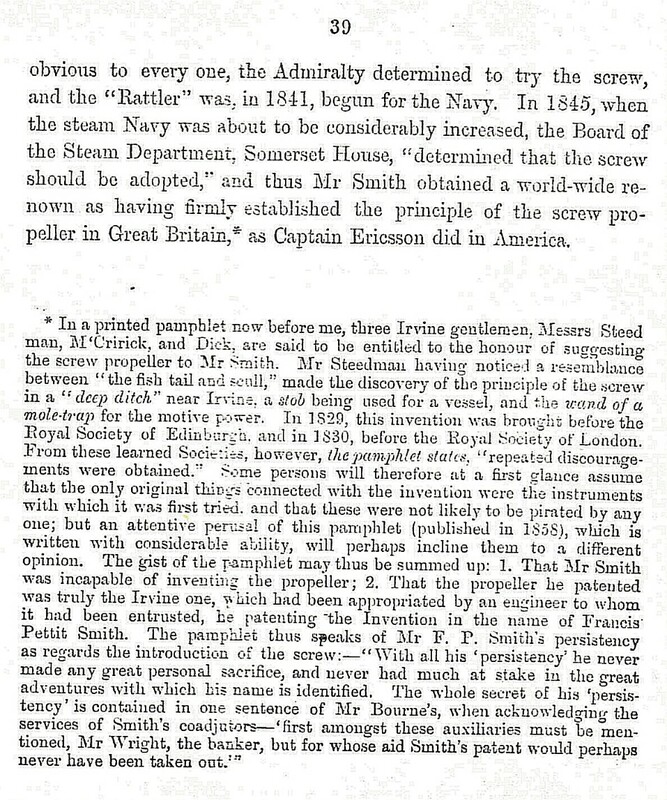 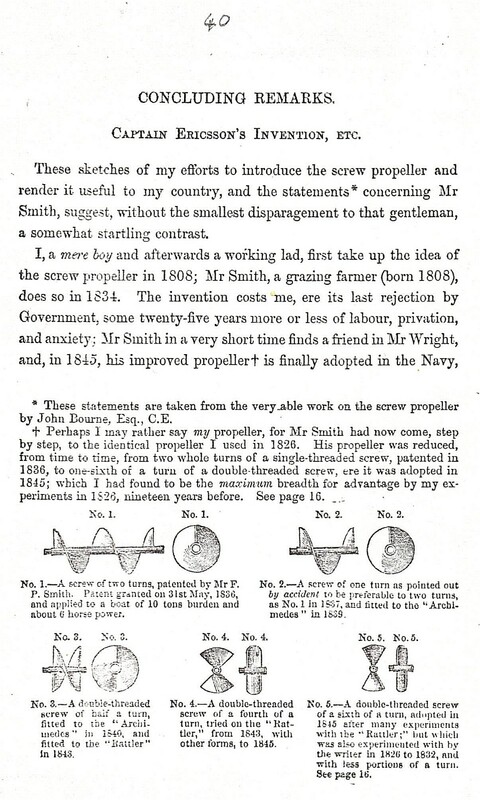 He also continued in perfecting the construction, manufacturing and technical advancement of new propelling devices. 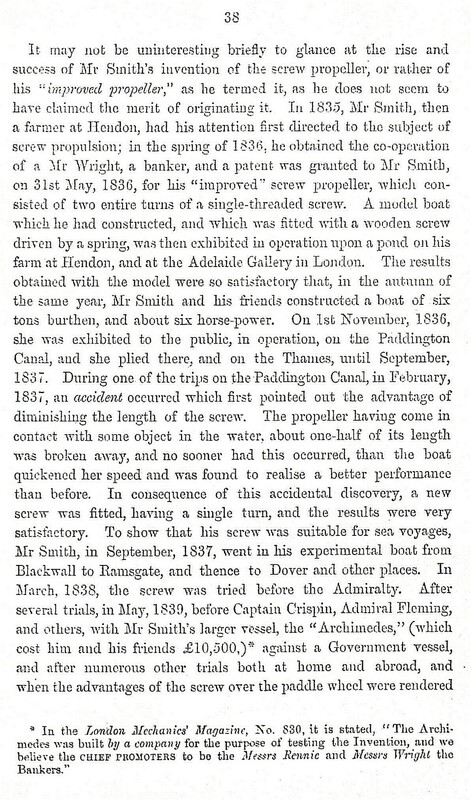 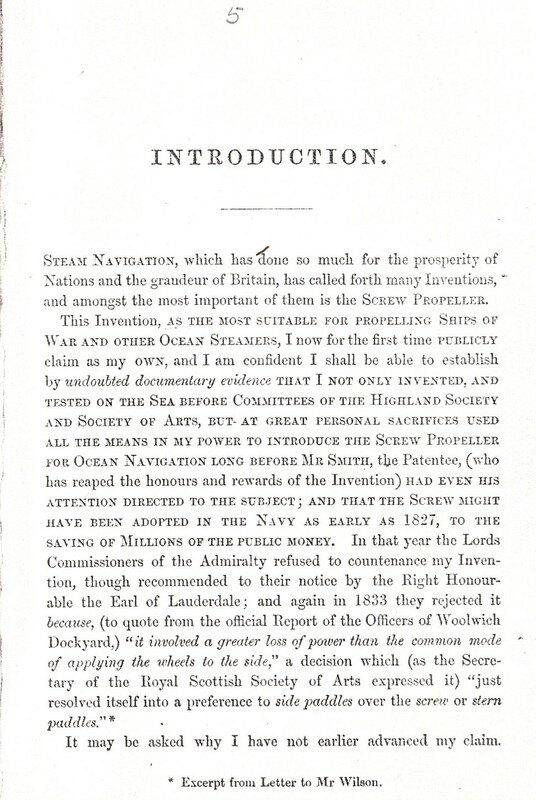 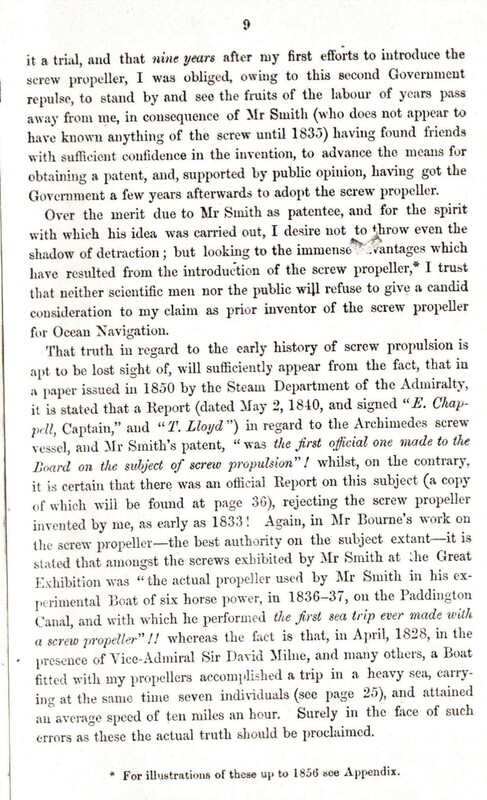 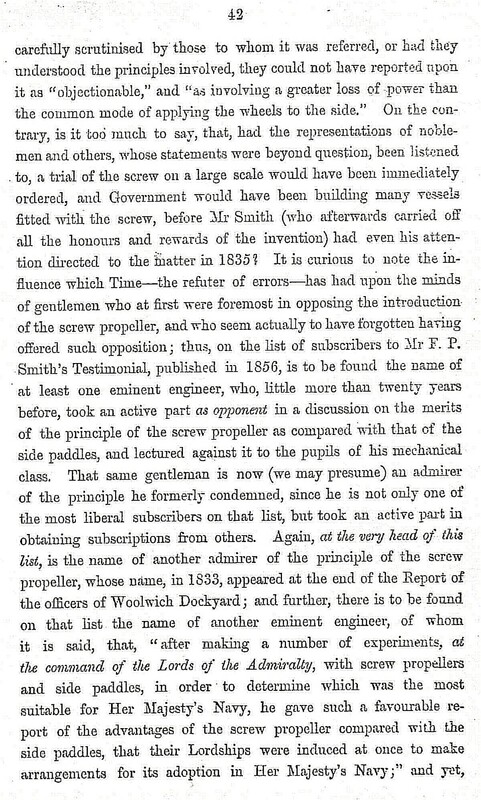 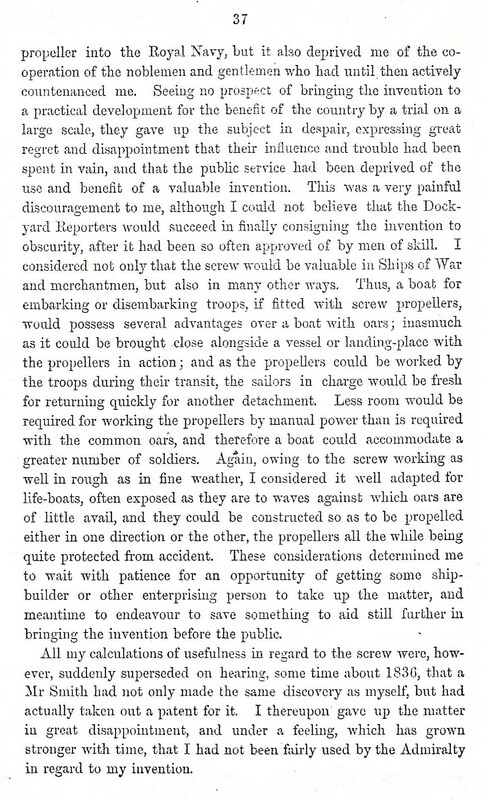 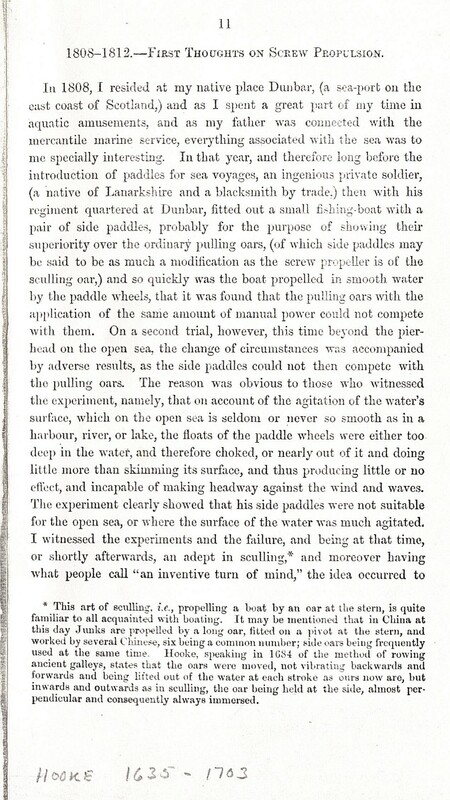 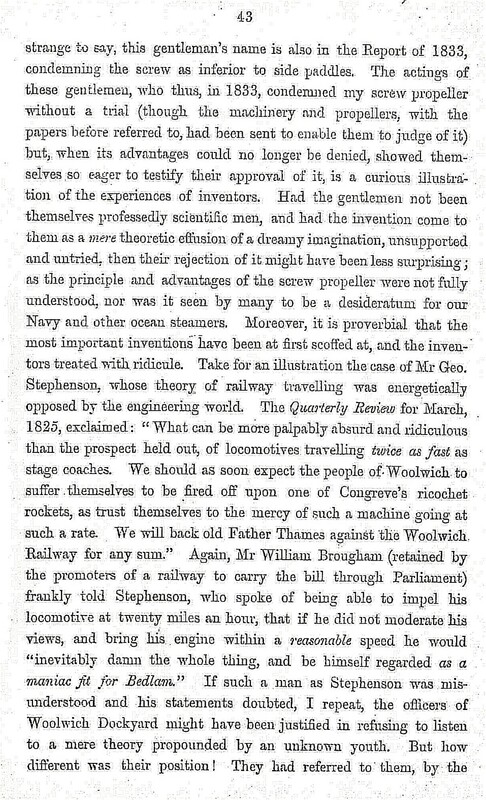 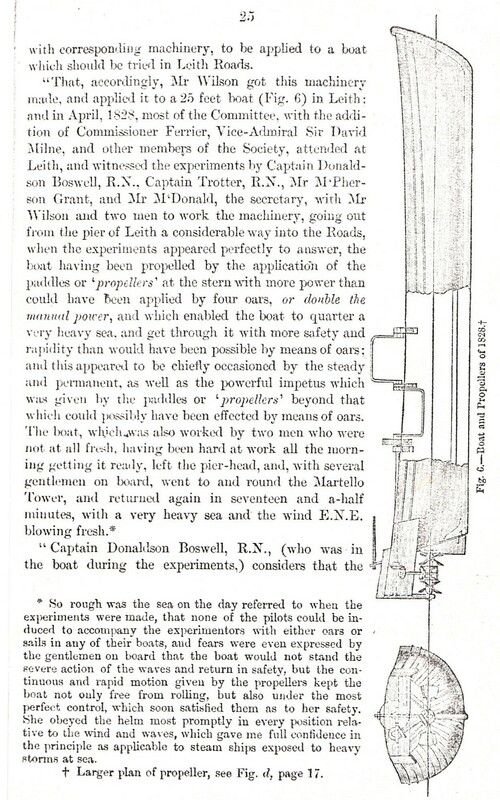 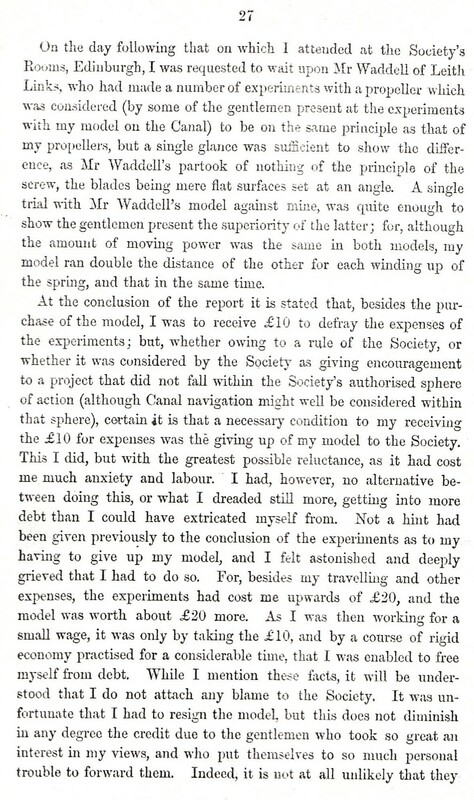 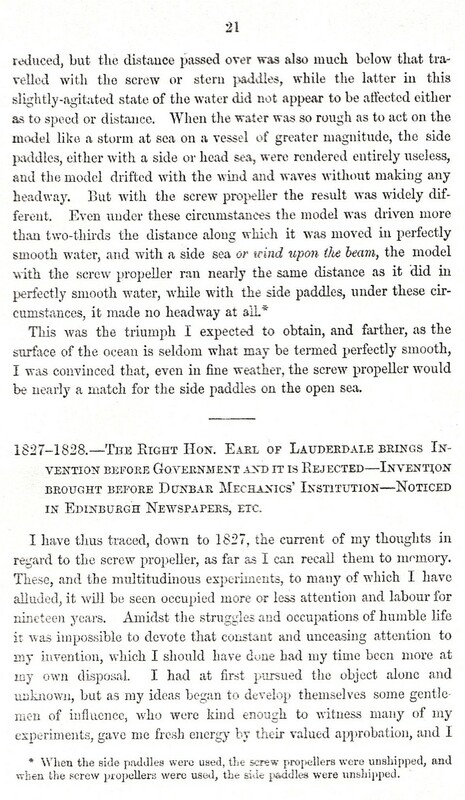 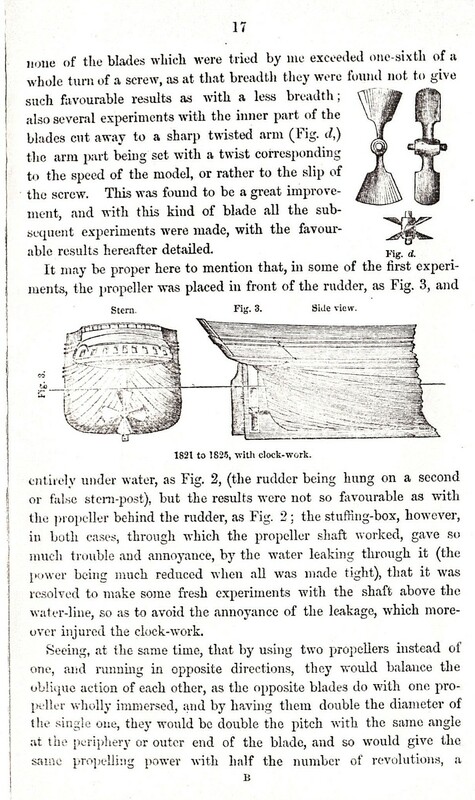 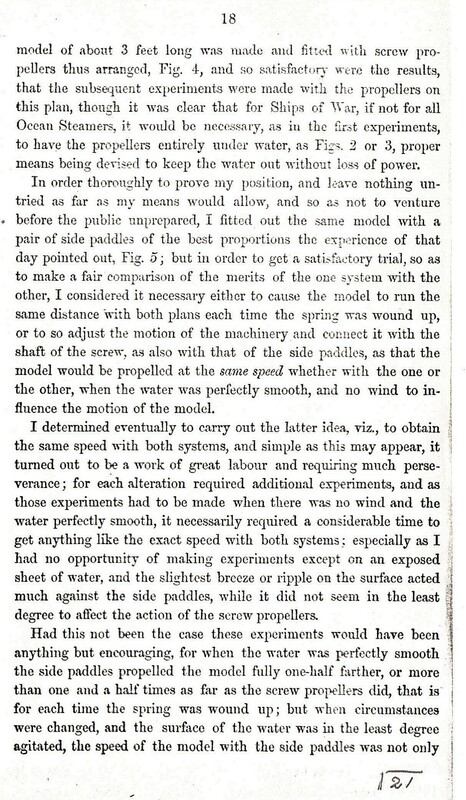 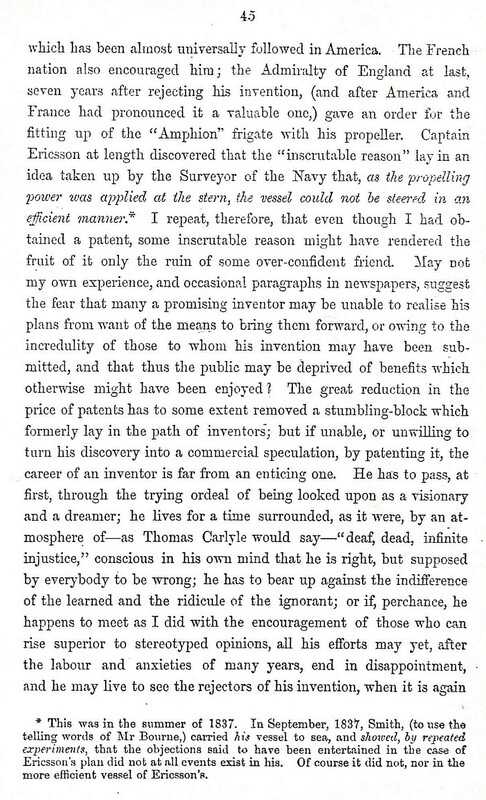 In 1860 he published his pamphlet “The Screw Propeller...”. 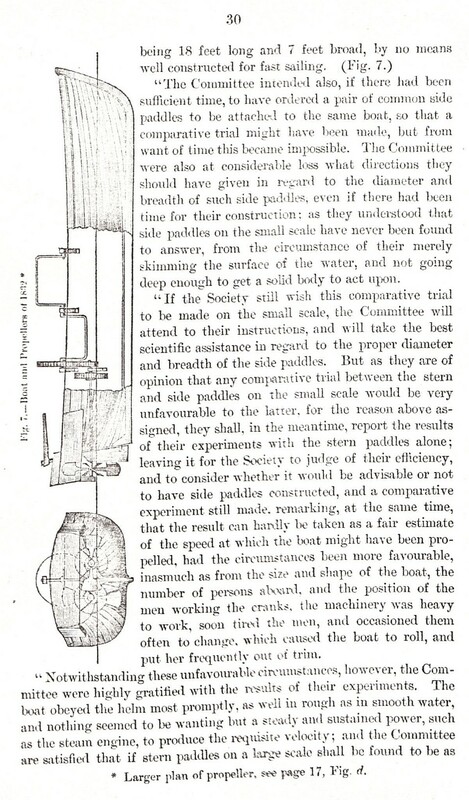 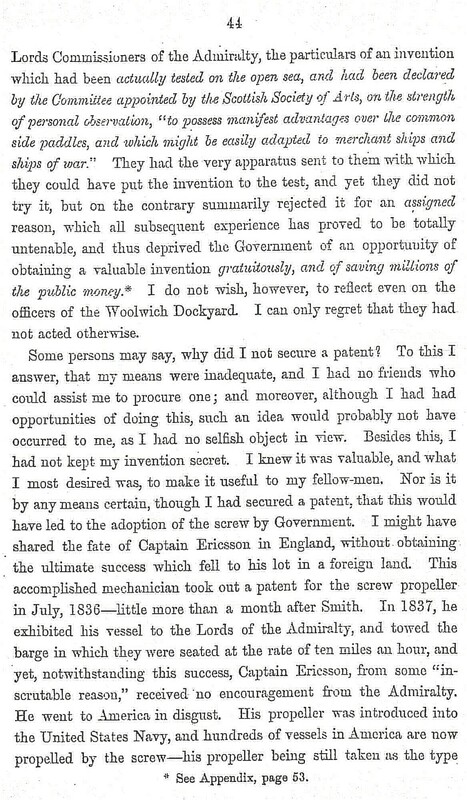 During the four decades – 1840s through 1880s – he took out a number of patents and was elected a FRSE in 1873. 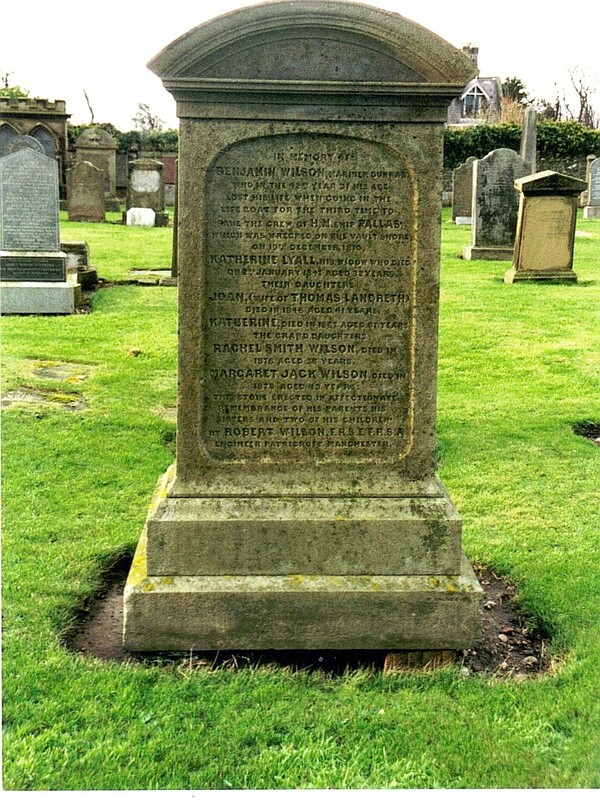 He died in the county town of Derbyshire at the end of July 1882 being survived by his second wife and a family of eight. 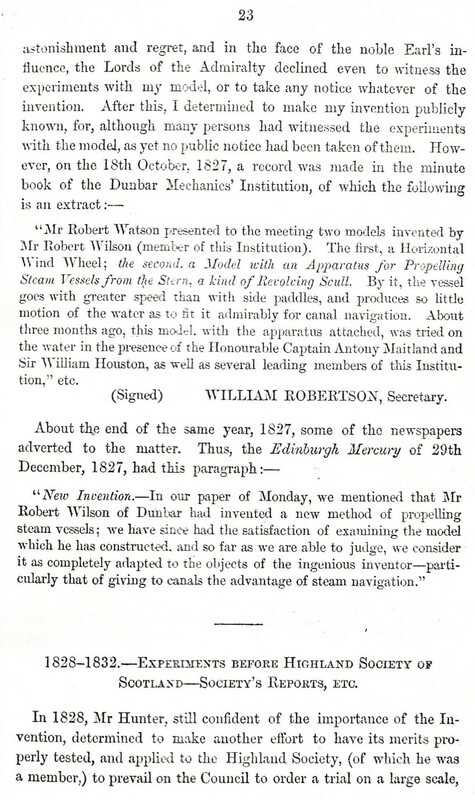 Dunbar’s (or should that be East Lothian’s?) 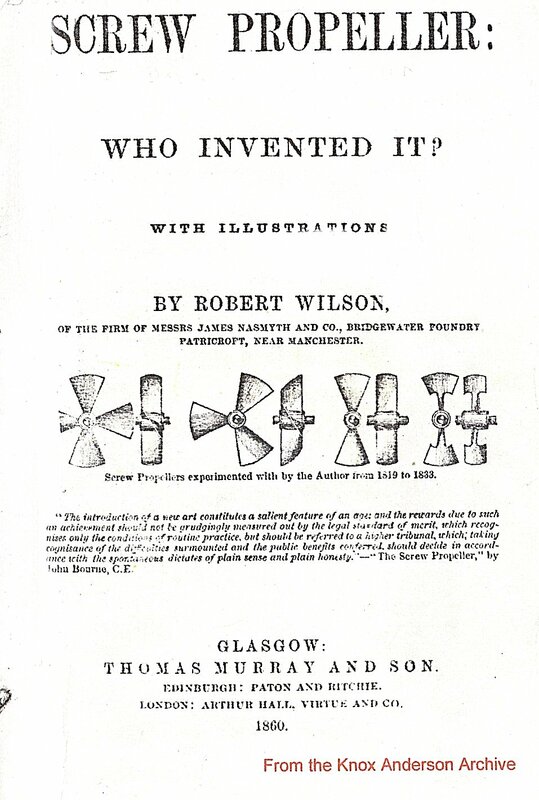 greatest inventor was subsequently buried at St Catherine’s, Barton-on-Well near his home Ellismere House in what is now Greater Manchester.